Em’seni Camp out of the need for a secure and affordable home base for SUIS teenage camping. They offer 126 beds, in combinations of up to 8 in a room. There are quality ablutions, a large dining room/conference hall and more. A simple and clean website was requested. Em’semi Camp is set on the Tugela river and one of the main focus points was to make sure users could experience the beauty of the surrounds hence the large headers and ability to enlarge any image on the website. 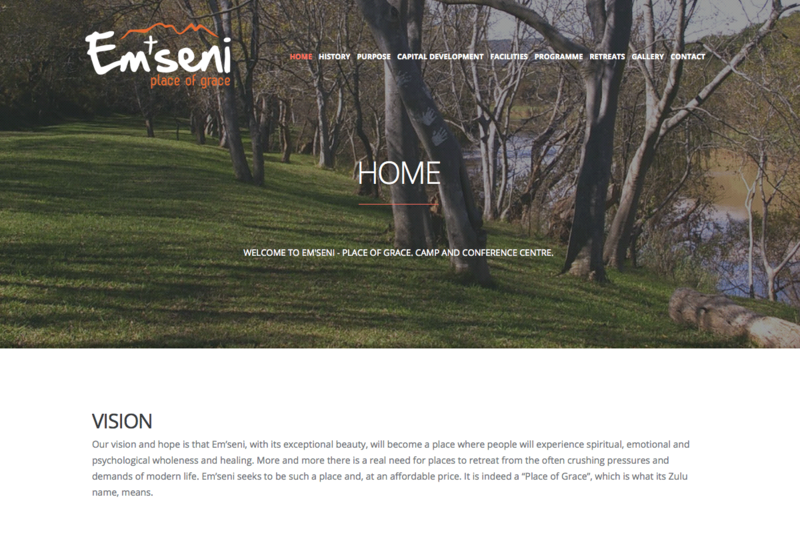 You can find all the information you would need to plan a visit to the Em’seni Camp on the various pages. The logo and branding were done by Lara Moran.